Published December 14, 2011 at 651 × 511 in What’s New? A Wonderful Holiday Jewelry Show! An intense green peridot chunk (approx. 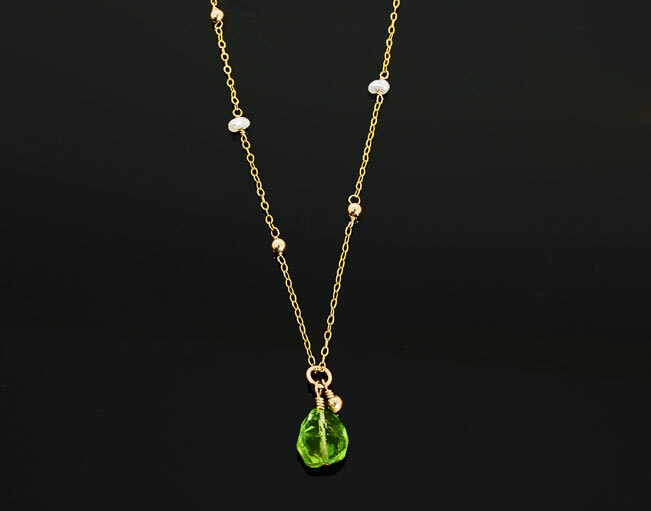 10 x 10 mm) hangs from this delicate 22″ necklace in 14K GF, sprinkled with tiny freshwater pearls and gold filled balls. A romantic piece bearing the promise of spring!